Replace your old garage door with a brand new one. As you start warming yourself up to the idea that your house may have to undergo some renovations to make it more sellable, you’ll want to set your sights immediately at your garage door. After installing it years ago, your garage door has endured so much wear and tear at this point. Now that you’re selling your house, it’s about time you replaced your old garage door with a brand new one. 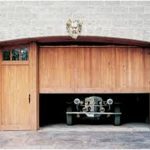 Garage doors come in many different styles and brands to choose from. Getting a brand names price list, for example an Amarr garage doors price list, is a great way to start. It’s entirely up to you whether you want to replace your old garage door with a brand new one all by yourself or with the help of professional garage door installers. If your house doesn’t have any outdoor lighting, now would be a good time to install some. Aside from making your house more secure, adding some outdoor lighting to it can make it more welcoming as long as you’ve used some warm and soft lights since harsh ones would make your house look cold. You can install outdoor lights either above or on both sides of your house’s front door to bring it into focus. You can also consider installing an outdoor light near your house’s number sign so that passersby at night can easily see it in case they’re looking for directions. Consider placing some flower boxes on the windows of your house. The windows of your house may have been blending in too much that its entire exterior feels flat and drab to any of its potential buyers who might reconsider buying it. To avoid this scenario from happening, you’ll want to install some flower boxes on the windows of your house. You can buy home gardening accessories for cheap depending on the type and style that you want. You’ll also have to add some plants to the flower boxes that you’ve installed on your house’s windows. For the spring and summer months, you can plant some flowers whose colors match those of your house’s exterior. You can also add some season-appropriate decorative plants when fall and winter months strike. Repaint the exterior of your house. Speaking of your house’s exterior, according to a 2017 report put out by the National Association of REALTORS, homebuyers aged 51 and below are more than likely to use the Internet to search for houses that are up for sale. If you’ve had your house included in an online listing and any potential homebuyers see its exterior is peeling, chipped, or cracked, they’ll most likely move on to the next house. You’ll thus want to buy some paint and give your house’s exterior a fresh paint job. However, you’ll want to keep your paint job scheme to only three colors at most: one for the body of your home, one for your garage door, and one for your house’s front door and trims. You should also make sure that the three colors you’ll choose for repainting your house’s exterior are slightly darker in tone and complement each other lest you want your home to look like a funhouse. If you’ve decided to put your house up for sale, how its garage and exterior looks can affect its chances of getting sold to any potential buyers. After all, humans are visual creatures who often make judgments based on what they see. But if you’re thinking that renovating both your house’s garage and exterior can set you back financially, a report recently put out by Remodeling Magazine had stated that replacing your old garage door with a brand new one can bring back as much as 98.3 percent of the money that you’ve spent for it. You’ll thus want to do the above-listed key tips on improving your garage and exterior so that you can sell your home better. This entry was posted in Home Improvement and tagged Exterior, Garage. Bookmark the permalink.